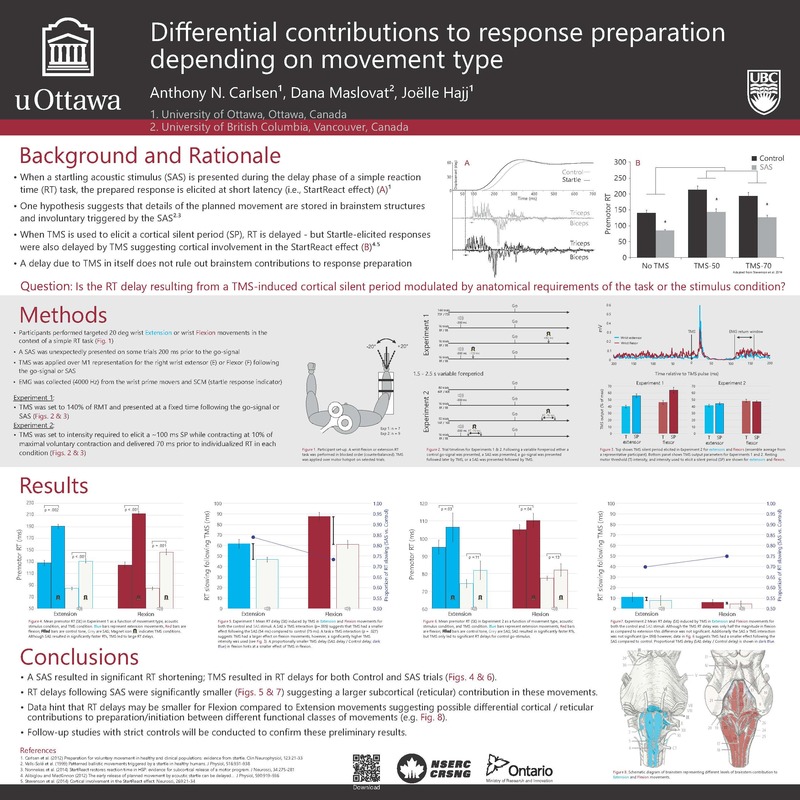 Differential contributions to response preparation depending on movement type. 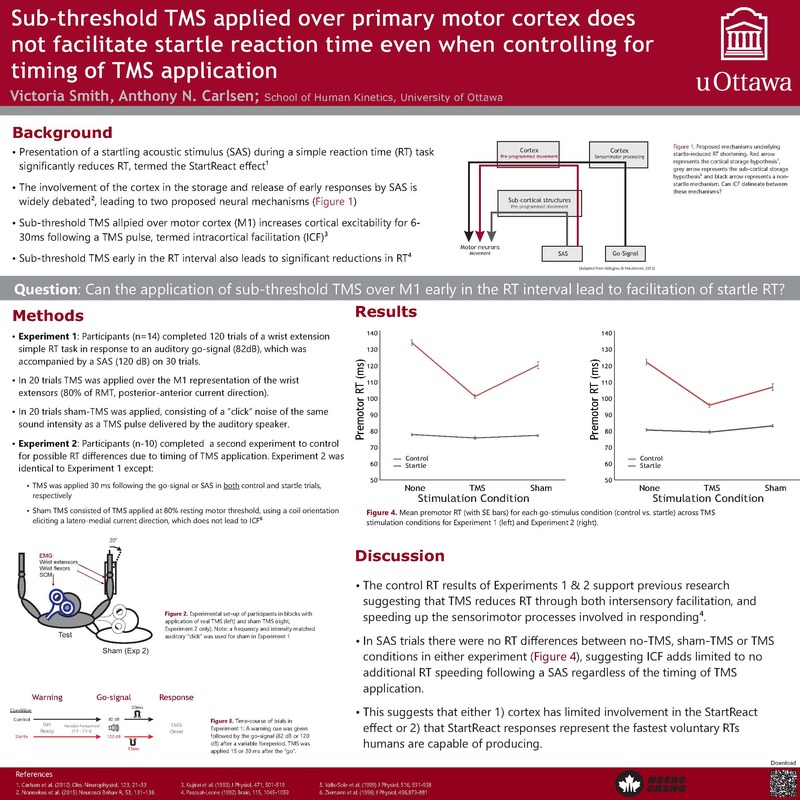 Sub-threshold TMS applied over primary motor cortex does not facilitate startle reaction time even when controlling for timing of TMS application. 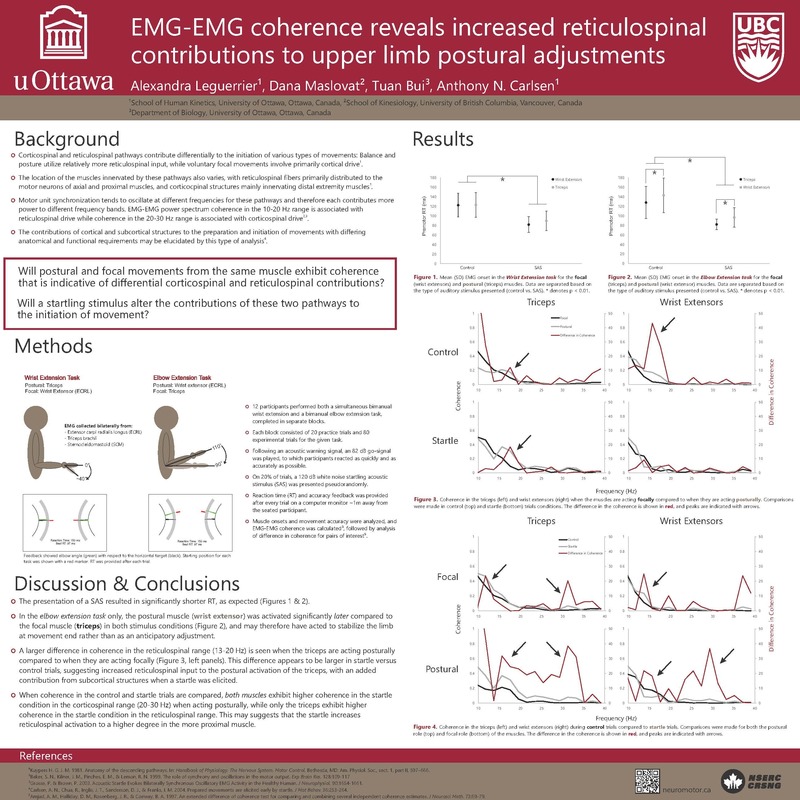 EMG-EMG coherence reveals increased reticulospinal contributions to upper limb postural adjustments. 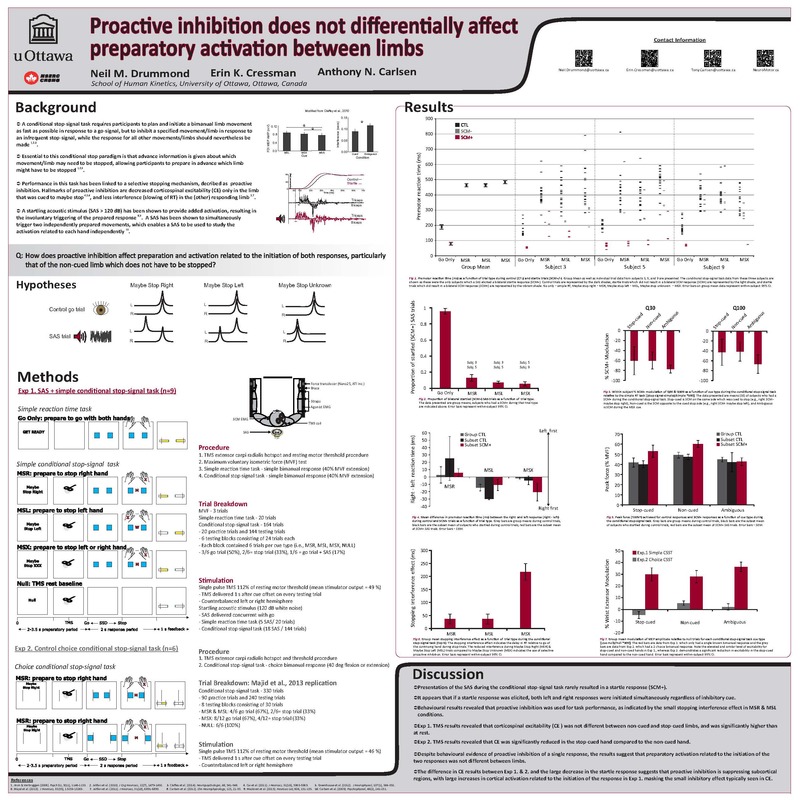 Proactive inhibition does not differentially affect preparatory activation between limbs. 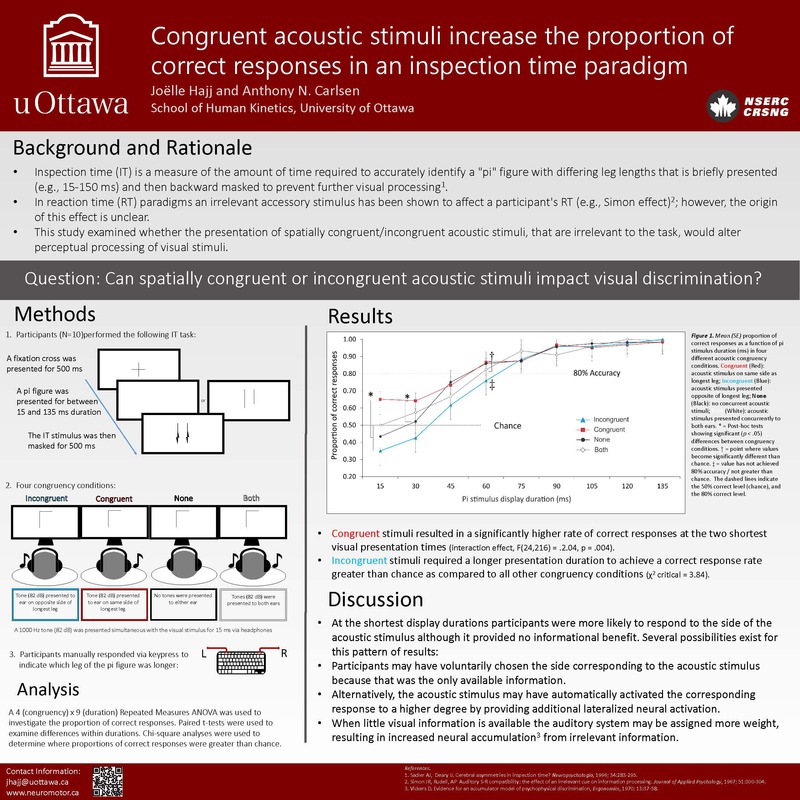 Congruent acoustic stimuli increase the proportion of stimuli increase the proportion of correct responses in an inspection time paradigm. 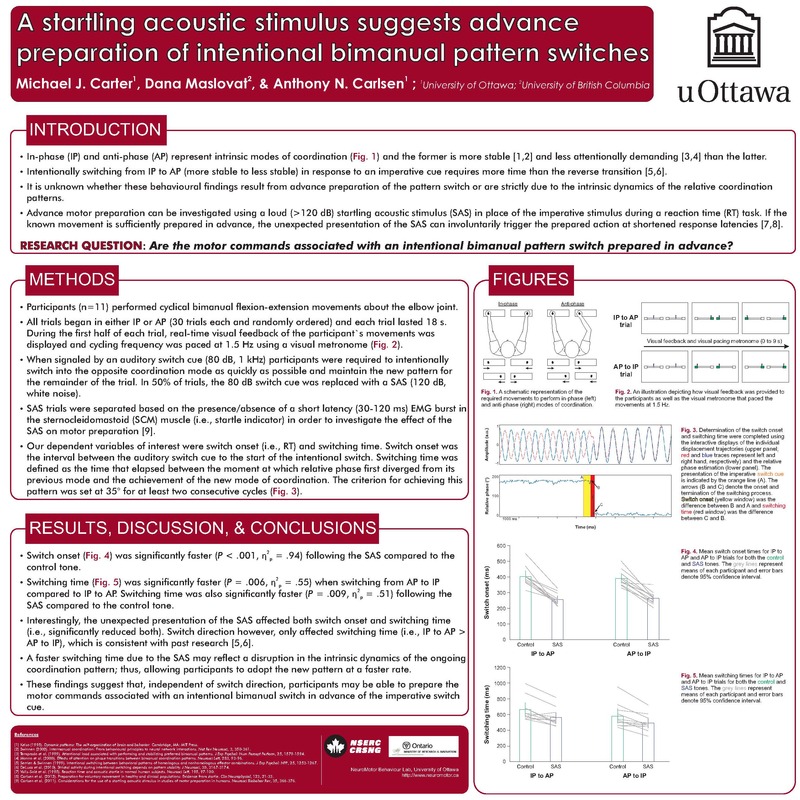 A startling acoustic stimulus suggests advance preparation of intentional bimanual pattern switches.